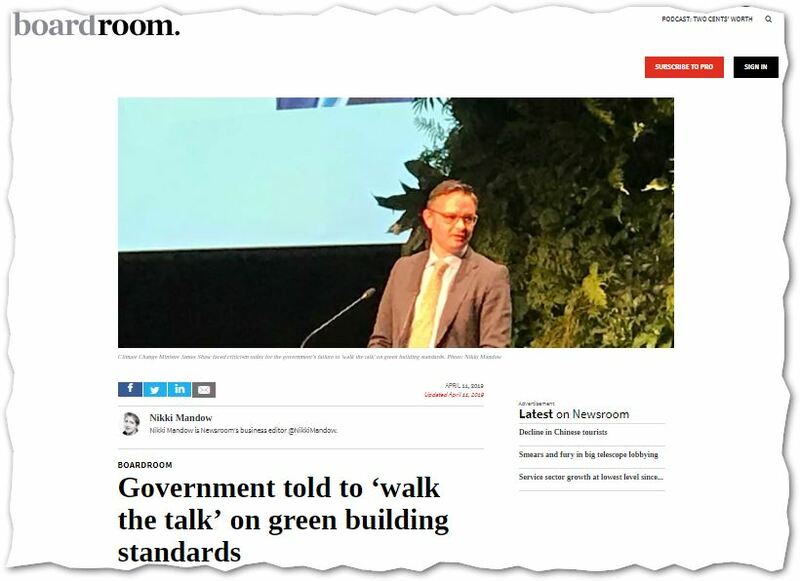 11 April 2019 Boardroom’s Nikki Mandow: Government told to ‘walk the talk’ on green building standards | Sustainable Engineering Ltd.
1/5th That’s right once you step back and look at the big picture buildings nationwide are 1/5th of our CO2 emissions. Sounds bad but it is actually awesome. NZ building are very poorly built for efficiency and it is pretty easy and cheap (10%) to make them world leading performance (i.e. Passive House) saving ~90% on heating costs. This means we can save significant CO2 emissions at the same time we save money. To my knowledge this is the only big CO2 opportunity that doesn’t require a cost to save CO2. But energy efficiency was just one part of the role for the building sector in reaching the emissions targets, Shaw said. The electricity sector estimates that replacing all petrol/diesel vehicles and gas and coal-fired industrial plants with other energy sources will require a massive increase in renewable energy production – and green buildings can help.